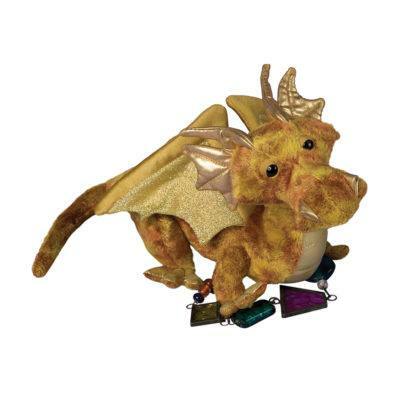 Embrace all that is wondrous and magical with Shreya the Pink Dragon stuffed animal! 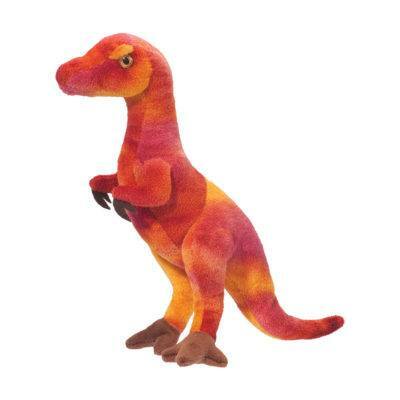 A special touch point on her back activates fantasy sounds and lights in her wings and on her chest! 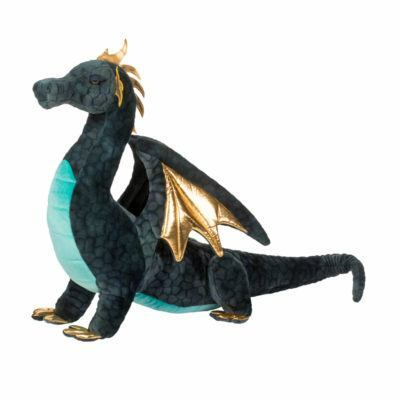 Specially selected designer materials were combined to create this sumptuously detailed plush dragon. 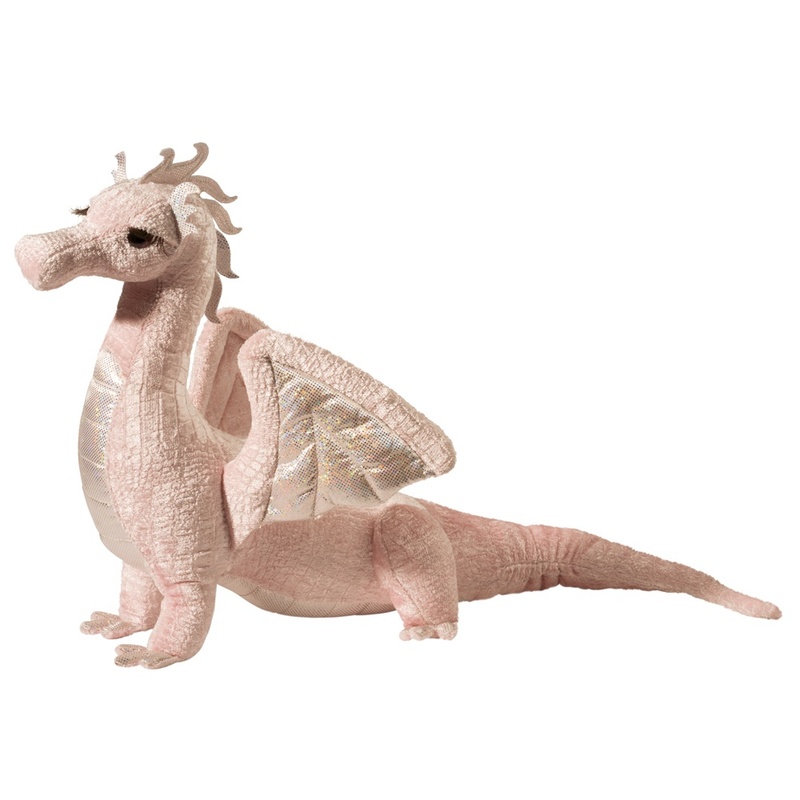 Her soft pink body features a fun scale texture and iridescent shimmer fabric lines her wings and underside. 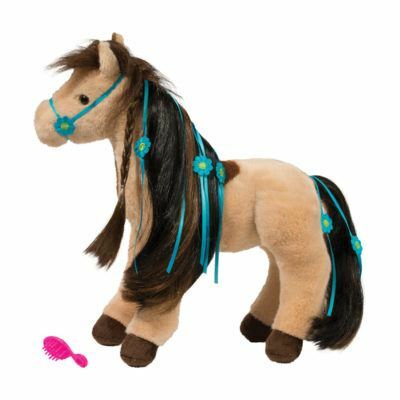 Shreya’s eyes glitter in the light and are fringed with luxuriously long eyelashes that add distinction to her appearance. 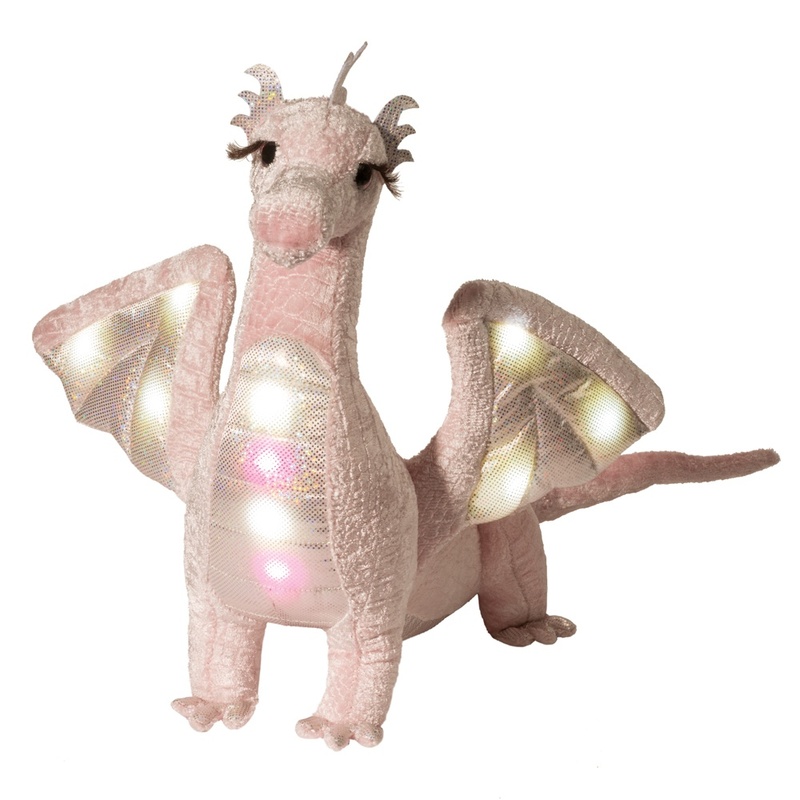 Bring this exciting light and sound stuffed animal home and Shreya the Pink Dragon will bring new dimension to all your fairy-tale adventures!